Vegan tofu scramble can be enjoyed for breakfast or dinner. Cubes of firm tofu are sauteed with aromatics and spices. You can add whatever vegetables you have in your fridge to this recipe. Zucchini, red bell pepper, spinach and mushrooms work especially well. 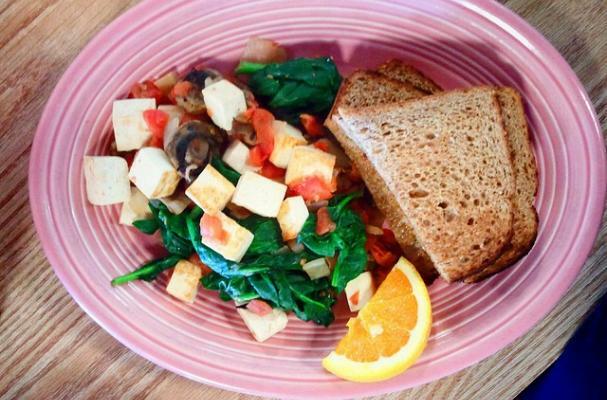 Serve your tofu scramble with a slice of whole wheat toast to complete this healthy meal.